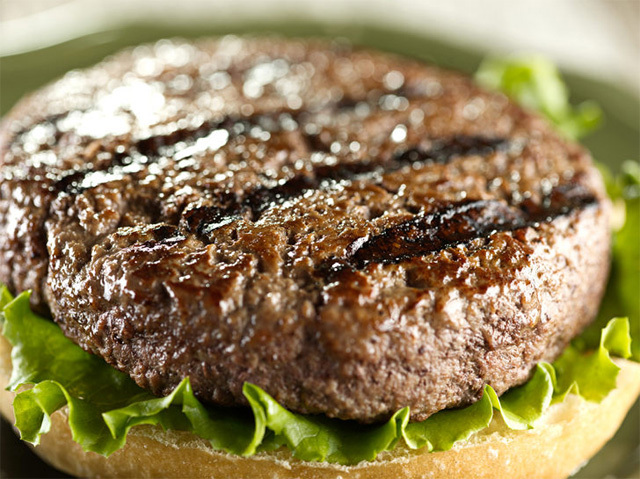 The world's first lab-grown burger is to be unveiled and eaten at a news conference in London on Monday. Scientists took cells from a cow and, at an institute in the Netherlands, turned them into strips of muscle which they combined to make a patty. Researchers say the technology could be a sustainable way of meeting what they say is a growing demand for meat. Critics say that eating less meat would be an easier way to tackle predicted food shortages. Prof Mark Post of Maastricht University, the scientist behind the burger, said: "Later today we are going to present the world's first hamburger made in a lab from cells. We are doing that because livestock production is not good for the environment, it is not going to meet demand for the world and it is not good for animals". But Prof Tara Garnett, head of the Food Policy Research Network at Oxford University, said decision-makers needed to look beyond technological solutions. We have a situation where 1.4 billion people in the world are overweight and obese, and at the same time one billion people worldwide go to bed hungry - she said. "That's just weird and unacceptable. The solutions don't just lie with producing more food but changing the systems of supply and access and affordability so not just more food but better food gets to the people who need it." An independent study found that lab grown beef uses 45% less energy than the average global representative figure for farming cattle. It also produces 96% fewer greenhouse gas emissions and requires 99% less land. Stem cells are the body's "master cells", the templates from which specialised tissue, such as nerve or skin cells develop. Most institutes working in this area are trying to grow human tissue for transplantation, to replace worn out or diseased muscle, nerve cells or cartilage. Prof Post wants to use similar techniques to grow muscle and fat for food. This might sound a little creepy to some - but Prof Post is no Dr Frankenstein. He's normal and likeable; when he talks about his project there is a gleam in his eye. The scientists have tried to make the meat - which is initially white in colour - as authentic as possible. Helen Breewood, who is working with Prof Post, makes the lab-grown muscle look red by adding the naturally occurring compound myoglobin. If it doesn't look like normal meat, if it doesn't taste like normal meat, it's not... going to be a viable replacement - she said. Currently, this is a work in progress. The burger to be revealed on Monday will be coloured red with beetroot juice. The researchers have also added breadcrumbs, caramel and saffron, which will add add to the taste. At the moment, scientists can only make small pieces of meat; larger ones would require artificial circulatory systems to distribute nutrients and oxygen. Prof Post said initial sampling suggests the burger will not taste great, but he expected it to be "good enough". Ms Breewood is a vegetarian because she believes meat production to be waste of resources, but says she would eat lab-grown meat. "A lot of people consider lab-grown meat repulsive at first. But if they consider what goes into producing normal meat in a slaughter house I think they would also find that repulsive," she said. Written by Pallab Ghosh. Originally appeared on BBC.